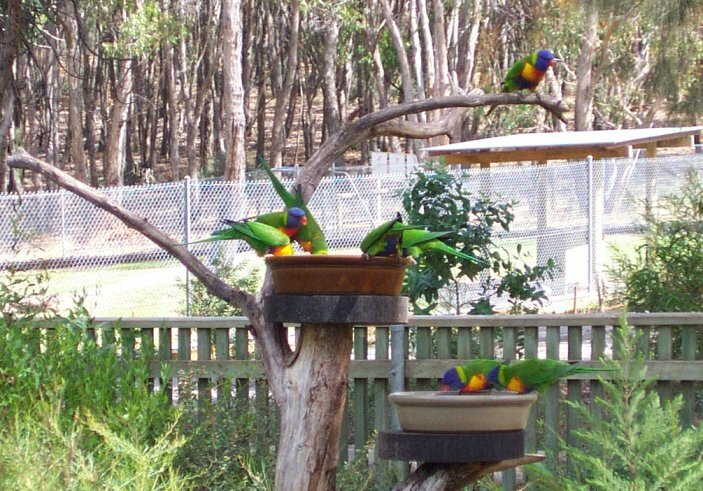 We saw these beautiful Rainbow Lories at Cleland Wildlife Park. 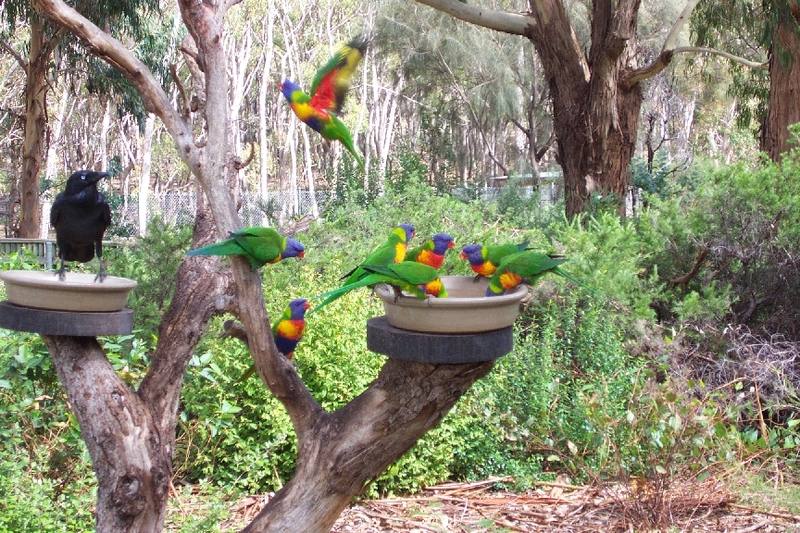 They fly free, but return to the feeding station near the Visitor's Centre to eat nectar. 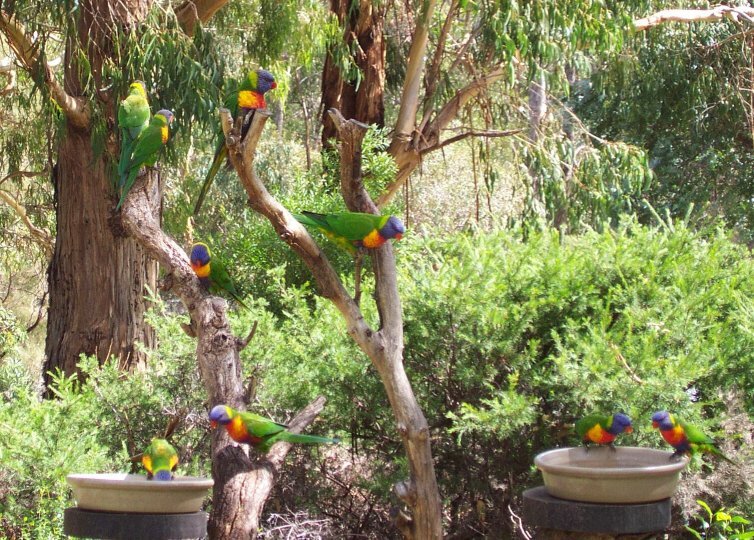 Lories eat as Crow watches. 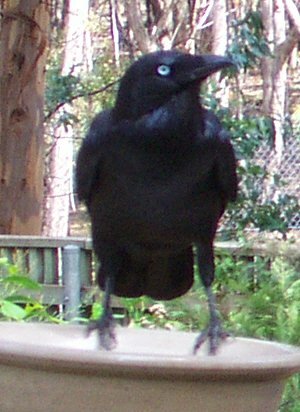 Crow has a large place in aboriginal tales, often one of mischief. 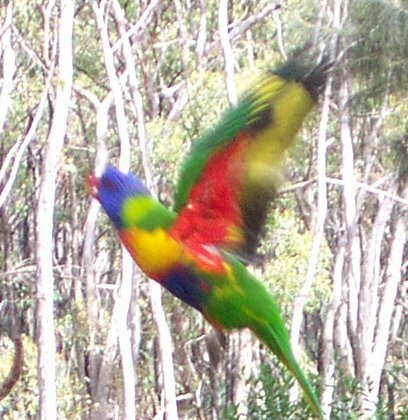 Close-up of lorikeet in flight. Close-up of lorikeet peering around a branch. 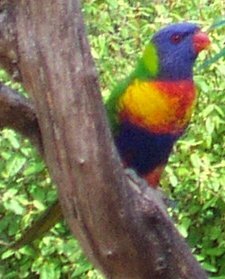 Close-up of lorikeet on branch.